Why is paying with cash a benefit for you? Because we’re using our own cash and not bank money, we can close as quick as you need and plus we don’t require or do any inspections. The biggest benefit is to you, you pay no fees to anyone. We take care of it all! We take all the risk and you walk away with more money in your pocket. We buy houses in Las Vegas and Henderson NV. Contact Us … You’ll Learn All Your Options And YOU Decide What’s Best For You! Why you can count on us? We have over 20 years experience. That assures you that we know to do the right things the first time. Most other “we buy houses companies” don’t have the experience like us, because of that, things fall apart or get delayed. Do you want that? Meet Jerime and he’ll tell you more about what we do and how we can help you today. Press play now or keep reading below…. We Buy Houses In Las Vegas, NV At Any Price. Check Out How Our Process Works. If you want to sell your house fast in Las Vegas… we’re ready to give you a fair all-cash offer. No games or gimmicks. We pay cash for houses in Las Vegas. Why Risk Listing With An Agent? Why Wait For Your House To Sell With An Agent. We Can Be At The Closing Table At This Time Next Week… Contact Us! All that hassle can add stress, months to the process, and in the end after paying the agent’s expensive fees, you may or may not be ahead of the game. We buy houses in Henderson & Las Vegas, NV. We help property owners just like you, in all kinds of situations. From divorce, foreclosure, death of a family member, burdensome rental property, and all kinds of other situations. 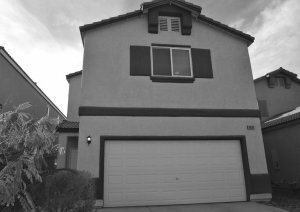 We buy houses in Nevada… including Las Vegas and surrounding areas and pay a fair cash price, fast. Sometimes, those who own property simply have lives that are too busy to take the time to do all of things that typically need to be done to prepare a house to sell on the market… if that describes you, just let us know about the property you’d like to be rid of and sell your house fast for cash.